Inspired by the passion and courage of everyday women, Michele Watches was founded in 2000 with the mission of creating fashion-forward luxury timepieces. 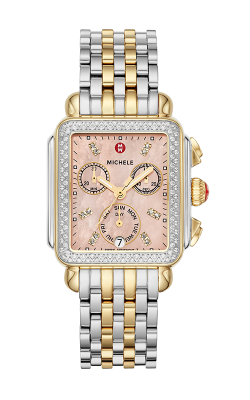 Michele Watches are known for their distinctive style, and a superb craftsmanship that combines hand-set diamond cases, mother-of-pearl-dials, and world-renowned Swiss movement, to create timepieces that are marvelously long lasting and well-built. Family-operated by third generation watchmakers, Michele Watches was named after the first child of owners Jack and Rita Barouh who were inspired the high-spirited character of their first daughter. 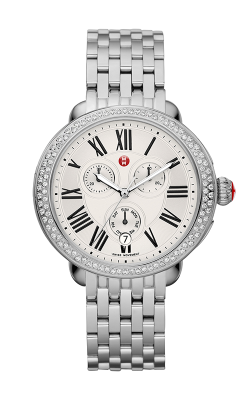 Still operated by the eponymous Michele, Michele Watches is concerned with reflecting the attitude of grace, beauty, and independence of the “Leading Ladies" in everyone’s lives. 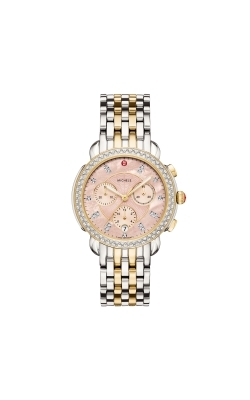 As a result, the timepieces by Michele Watches are an exuberant mixture of vibrant stones and diamonds, luminous multi-toned cases and dials, as well as a large selection of fully interchangeable leather and bracelet-style straps to better reflect diversity of the women who wear Michele Watches. Why Buy Michele Watches from Merry Richards? Established on Chicago’s famous “Jeweler’s Row" in 1985, the family-owned and operated Merry Richards is the premier location for luxury designer and custom jewelry. Known for their high-standards, the team of gemologists personally inspects every piece at Merry Richards in the hopes of bringing to the customer an inventory of unparalleled and unrivaled quality in the Chicago area. Because of this concentration on only carrying the highest quality in engagement rings, wedding bands, timepieces, and other fine jewelry, Merry Richards offers lifetime cleaning, polishing, inspection, and appraisal services on all items. In addition to these services, Merry Richards offers the opportunity for future diamond upgrade, giving a full retail credit towards the purchase of any diamond pieces of a greater value. For customer convenience Merry Richards has a location in Oakbrook Terrace, Il. Also offering a 30-day return policy, layaway options, and free shipping on all orders. Inside our Oakbrook Terrace showroom, a customer will find a large collection of Michele Watches and straps to satisfy the woman in anyone’s life. Collections include the stunning Gracile line of hand-set conflict-free diamonds. 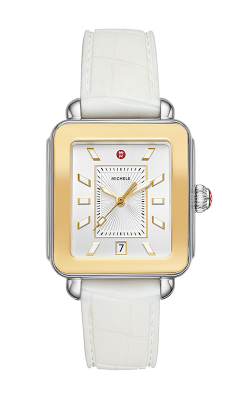 The Deco collection, inspired by the architecture of South Beach, resulting in the striking and confident rectangle case. 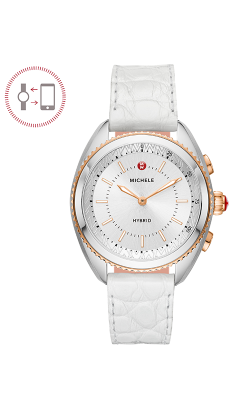 As well as the quiet elegance of Michele Watches’ Serein collection, the sporty Cape collection, the flirty and colorful CSX collection which includes a textured dial with a print of flamingos, elephants, and turtles, all surrounded by bright and beautiful gemstones of various colors. Other collections include, the Urban collection which exudes vintage glamour, and the Sport Sail collection whose large face and elegant gold look takes the sportiness of the Cape collection and adds level of sophistication and elegance.